One walker out for a stroll in the sunshine over the weekend got the shock of his life when he came across a snake in North Leitrim. 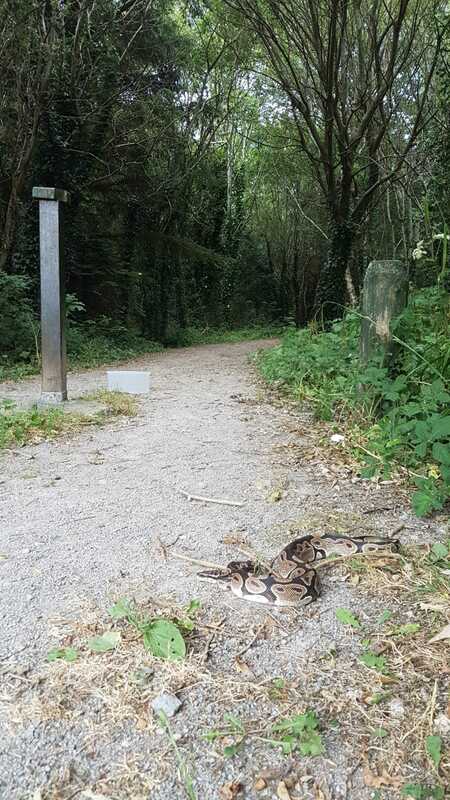 The man was walking in in parkland near Kinlough yesterday, (Sunday, July 8), at 3pm, when he came across the python sunning itself on a path. The snake was found near Kinlough over the weekend. Gardai have been notified. If you do come across the snake please don't approach it. Pythons are not poisonous but can bite if provoked.